At 8:30 pm on Saturdays and at 9:30 pm on Fridays. We are comparing Barcelona: The Ghost Walking Tour Prices from leading ticket suppliers and Try to find you Cheap tickets prices on the market. Barcelona, like any other city, has secrets that hardly resurface once buried, and this tour deals with some of them. Even some popular attractions harbor scary stories and the guided tour spotlights a number of them. A walking tour of some central neighborhoods of the Catalan capital where some mysterious and odd events used to occur in the past. A journey through some local legends and tales of the local folklore. An entertaining activity that will make your imagination go wild. If stories of supernatural, mysterious, scary and unusual interest you, this guided tour is tailor-made for you. The tour is highly recommended for travelers curious about dark secrets that were closely kept secret before they were somehow revealed. 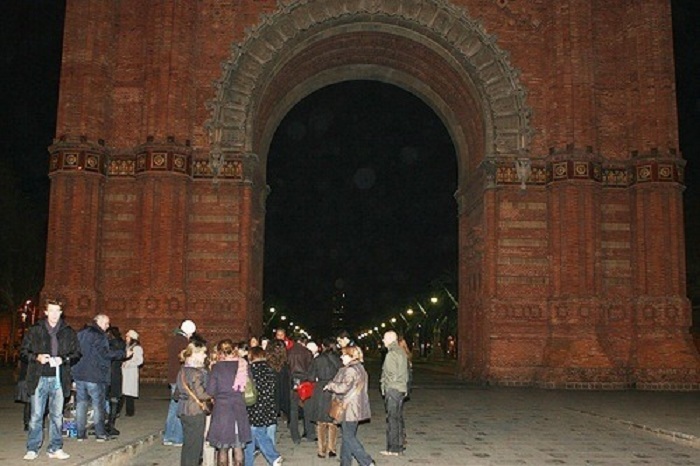 Your Experience With Barcelona: The Ghost Walking Tour? Explore areas of Barcelona you think you know well in order to learn dark secrets they kept secret a long time. Hear stories of witchcraft and exorcism and some grizzly details you would hardly associate to Barcelona you know. Learn about the risks medieval sailors and traders took while being in medieval Barcelona. Take a discovery journey involving the existence of various convents, appearances of ghosts and the revelation of gruesome events. Immerse yourself in a dark past of some top attractions of the capital of Catalonia. What Barcelona: The Ghost Walking Tour Includes? Tour guide specialized in the less-known history of Barcelona. The tour is suitable for adults and teenagers, even a little younger children. In addition to being a dark secrets tour, the activity is also a history lesson. Travelers Reviews about Barcelona: The Ghost Walking Tour? Participants in the tour rate the stories they heard as either excellent or good. Some travelers agree that the tour was a fine addition to their stay since it allowed them to visit noteworthy places they didn't know about. Most holidaymakers think highly of the tour guide's performance. A number of people that took part in the tour think that the experience is suitable for young visitors. The tour is suitable for people suffering from disability issues. Present a mobile or paper ticket to join the guided tour. To receive a full refund, cancel the tour no later than 24 hours before the specified date. Wear shoes suitable for walking and dress appropriately to season and weather. Because of a lot of walking, you should be in average physical shape at least.